This warm, fresh and herbaceous flavor is commonly used in Indian and Southeast Asian chutneys, curries and sauces. 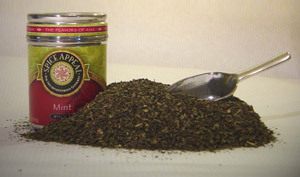 Use in Southeast Asian salads, fish and poultry curries, seasoned rice, sauces, biryanis and soups. Add to Middle Eastern yogurt dressings, dips, salads, vegetables, grilled lamb, poultry, fish and tea.